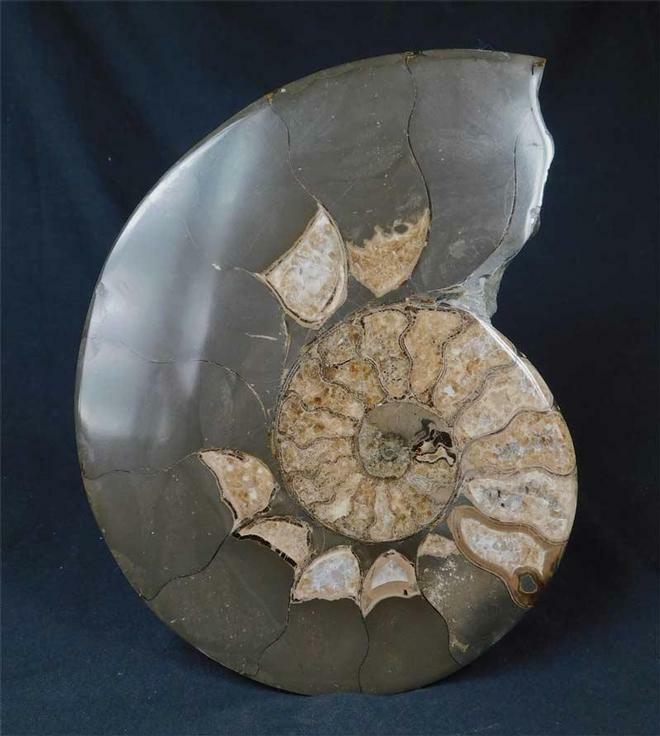 This is quite an exceptional specimen as one side has been left natural showing all its wonderful sutures which is so characteristic of this very popular Yorkshire coast ammonite. The other side has been smoothed down and a high polish applied to reveal the calcite chambers. 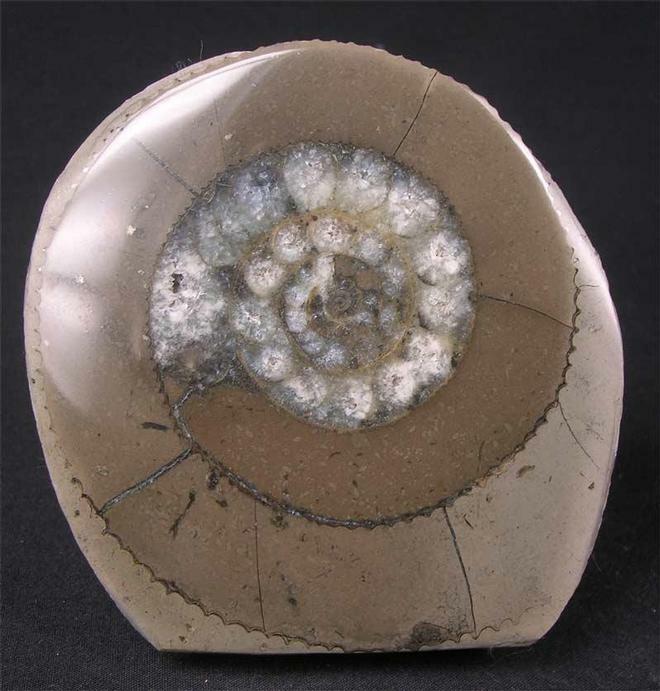 This is from an old Victorian collection and would enhance any Yorkshire coast ammonite collection. 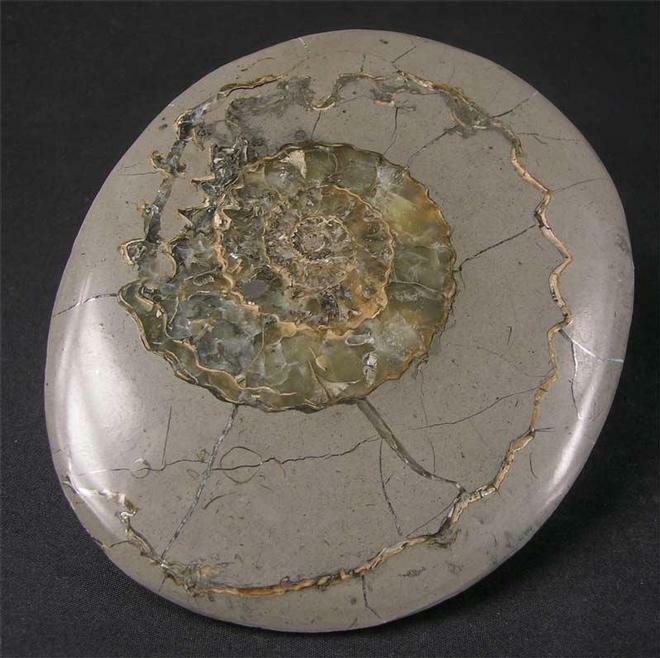 Again no cut base, just a natural half nodule which exhibits a large Androgynoceras which has been ground gem smooth and a high polish applied to reveal beautiful transluscent green colours. 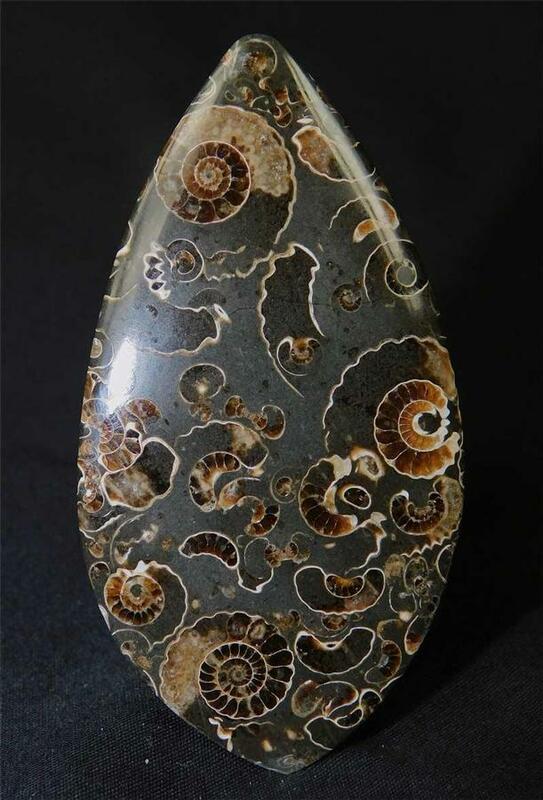 A unique gift idea which is approximately 190 million years old.